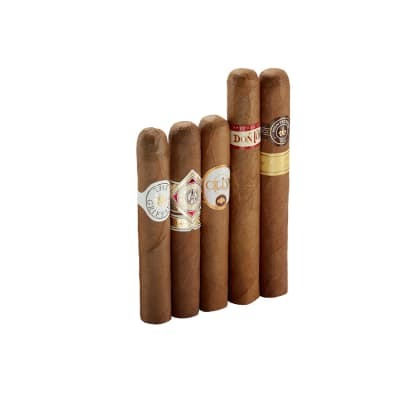 Buy a Montecristo #2, get 4 middling smokes free? 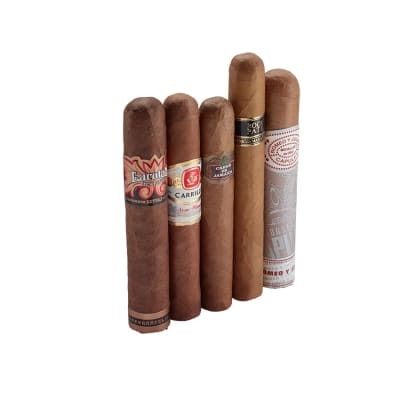 So I've been enjoying medium-body cigars for a while, and developed a fondness for torpedos and pyramids. 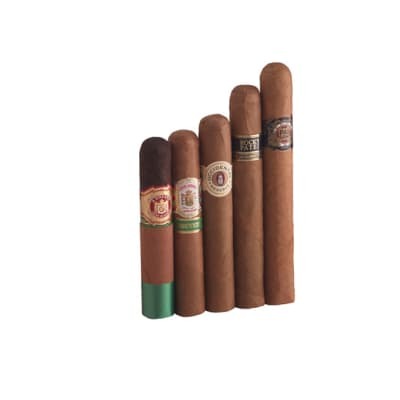 Thought I'd branch out, see what a milder body smoke had to offer. 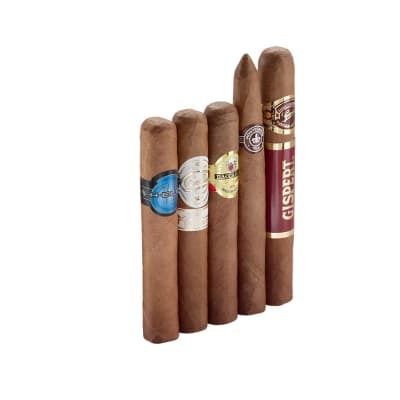 This sampler's big draw (no pun intended) is the Montecristo, which sells by itself for $2 less than the whole sampler. I figured (gah, again no pun intended!) what've I got to lose?Well, the star of the show satisfied and then some! 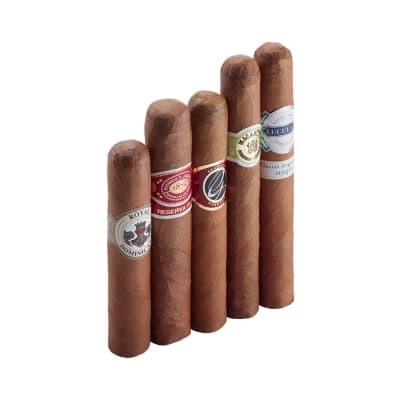 Complex and creamy, and I'll definitely be adding some of these Montecristo Yellow torpedos to my "nice box". But...The rest of the sampler was a big disappointment. The Don Diego I expected to be bland, and it was. The La Fontana wasn't much better (though it drew better and had a sweetened cap that gave it some character). The "Isla del Sol" is an extremely coffee-liqueur dipped cigar, very well-made for the breed but only pleasant if you like candied cigars.I haven't tried the Montesino yet; I have some hope.Basically, I think this sampler helped me decide that I'm just not much of a mild-cigar fellow, or maybe just not into the Robusto shape. Or both.